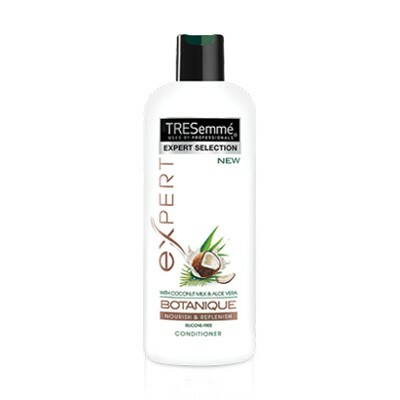 TRESemmé BOTANIQUE Nourish & Replenish Conditioner nourishes, moisturises and detangles hair. The conditioner is free from parabens, dyes and silicones and contains patented technology to ensure hair stays moisturised, tangle-free and manageable. It contains natural ingredients such Coconut Milk and Aloe Vera. This range the shampoo and conditioner is my go to. Its effective and good for natural hair and last long, so cost effective to. Still using it, good for all us girls in the house. Keeps the hair more manageable especially the thick and curly hair my youngest has. 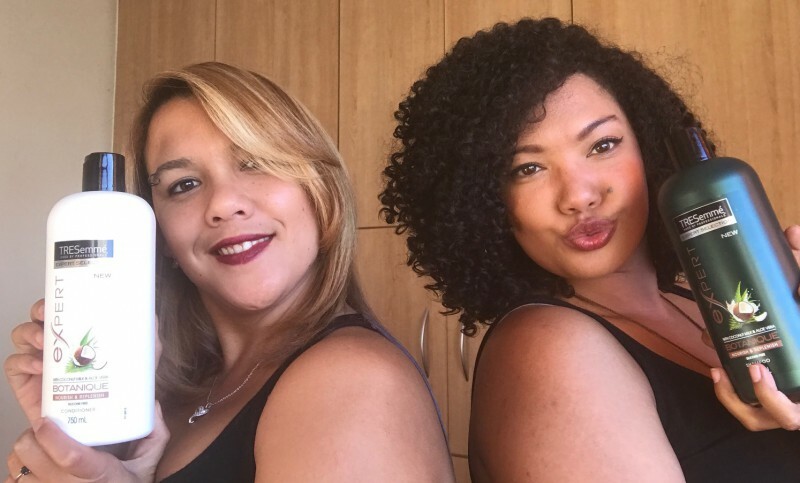 We have thin and fine hair and then we also have thick and curly in my household. Love the smell and the our hair is always soft and shiny. Less damage to hair when blow dry and straighten. 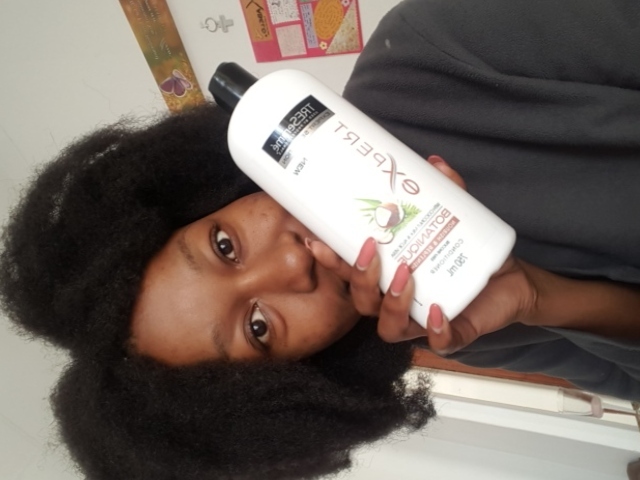 Iv used this conditioner from the day it was launch, it honestly is THEE best conditioner in the entire Tresemme range and for me personally. I use it mostly to co-wash my weaves and i use it on my natural hair aswell. And the smell!!! It smells absolutely amazing!!! And the scent stays on for dayzzzzz!!! I recommend this for anyone looking for an extremely good Conditioner and it’s afraid of comprising on the price!! Tresemme Botanique is a must! So I was always a Tresemme girl, but with the price some months a girl couldn't afford it. But once I tried the BOTANIQUE Range I would spend every penny! With low sulphates it helps with my dry scalp and smells amazing! Easy to wash off and style after. Will Recommend to anybody! As a friend recommended it to me. This is honestly the best conditioner I have ever used. I bought it because of the online reviews from fellow natural hair vloggers and it's honestly the best decision I have ever made based on reviews. It's big enough to last for a few months and works very well on my 4c hair. It gives me enough slip so that makes detanging a breeze. I look forward to wash days because of this conditioner. It's definitely becoming a stapple. If you are looking for an affordable, moisturising conditioner with lots of slip and big enough to last for a while, this is it. This is honestly the best conditioner I have ever used. 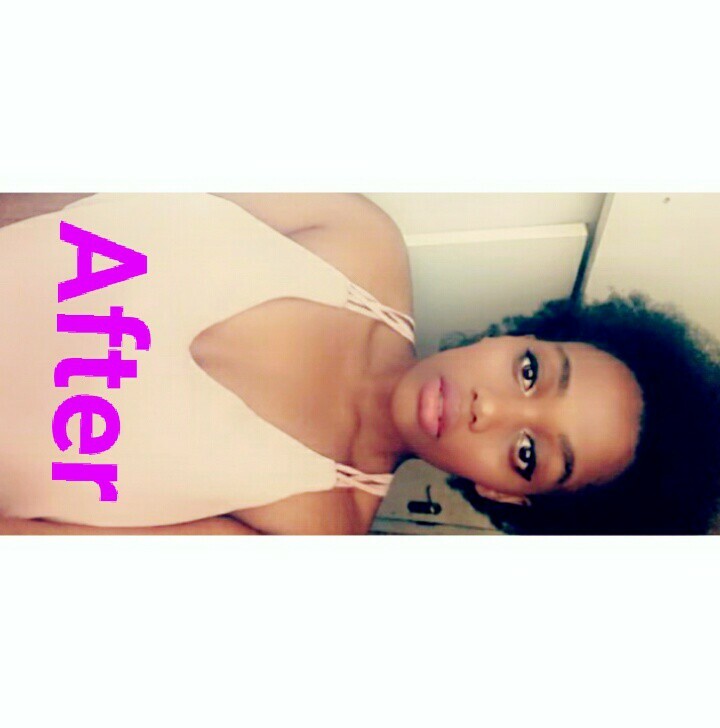 I bought because of the online reviews from fellow natural hair vloggers and it's honestly the best decision I have ever made based on reviews. It's big enough to last for a few months and works very well on my 4c hair. It gives me enough slip so that makes detanging a breeze. I look forward to wash days because of this conditioner. It's definitely becoming a stapple. If you are looking for an affordable, moisturising comditioner with lots of slip a big enough to last for a while, this is it. OMG! I love, love, love this conditioner! It is the most nourishing conditioner I have ever used. I will probably buy it again as a co-wash product than to use it with the shampoo. It detangles my hair beautifully because it has a good 'slip', which helps a lot because I have to detangle my hair every time I wash it. I had to go to the shops to get the conditioner. It is definitely my. Favourite of the 2 items and I have already. 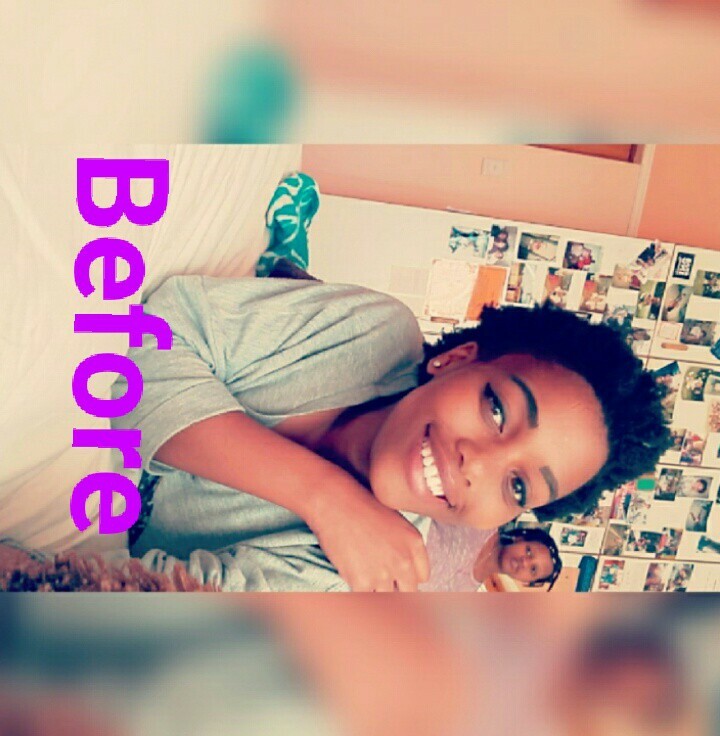 Recommended it to my group of natural hair girls. I love it! NEW BOTANIQUE NOURISH& Replenish Conditioner contains aloe vera and coconut milk.The scent is my favorite part?? 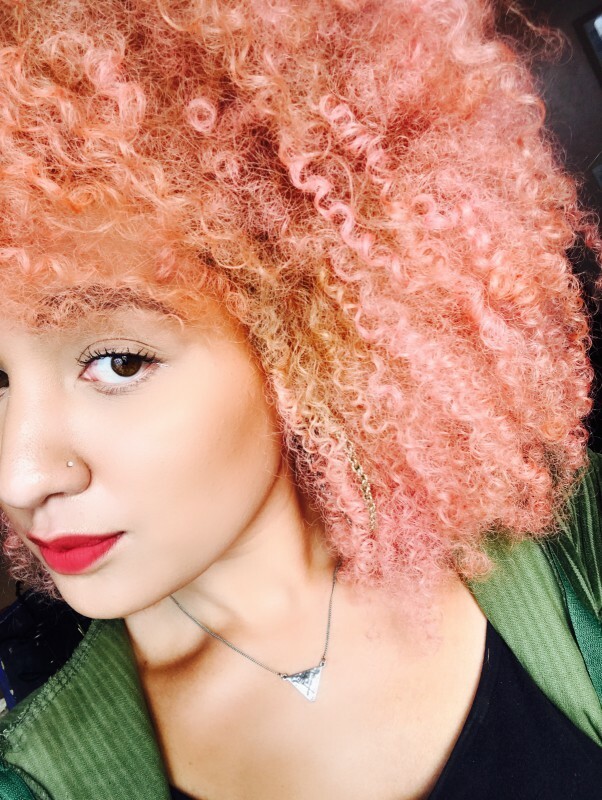 -Detangle for tips and work your way up gently. This conditioner works really good, it moisturized and made my hair feeling soft and manageable. The TRESemme Botanique Shampoo and Conditioner promises to restore and replenish dry and damaged hair, leaving the hair moisturizer and soft and adding shine back into the hair as well. My initial thoughts on the product was very good. The size of the Shampoo and Conditioner is 750ml which is perfect for the amount of hair that I have. The scent of the Conditioner had a very nice coconut smell, and the shampoo had more of the aloe Vera scent coming through. 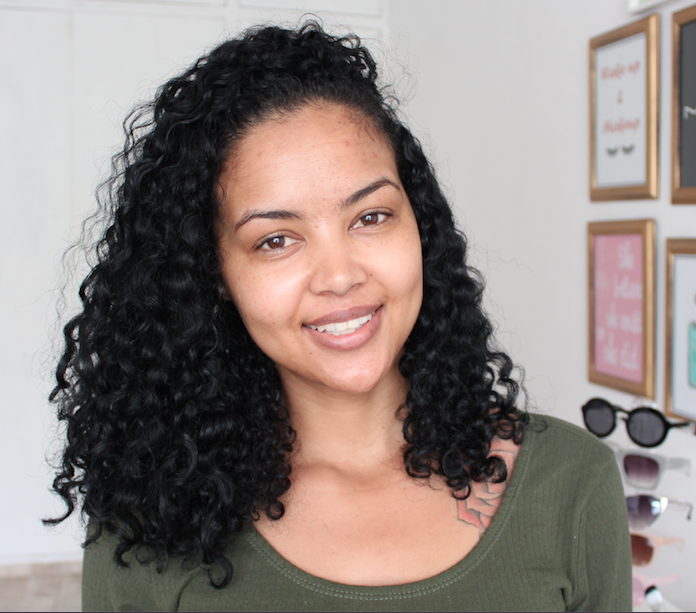 Ok wash days, I usually start with Conditioner first and then detangle before I Shampoo so that I don't create more knots in my hair, making shampooing easier and quicker. The Conditioner made my hair feel very soft and detangling time was cut short as well. The Shampoo was a bit harsh on my hair as it caused frizz on the second day after wash day. I did feel a bit of dryness after using the Shampoo, which I then added more Conditioner to my hair to add back the moisture that the Shampoo removed. All in all, the Botanique Range works fairly well, although my only problem was the Shampoo taking away too much moisture, but the Conditioner topped the charts for me! TRESemme Botanique Has honestly been the best thing that has ever happened to my hair thus far,my hair feels softer,smells great and its a lot easier to brush! The Conditioner has become my best friend it smells amazing and always leaves my hair soft ,smelling great and Brushable. -I apply my conditioner straight after I've rinsed out the shampoo. -I apply it from tip to route and gently massage it in my hair. -I brush out my hair a bit and then leave it in for about 2-3 minutes. -I then pat my hair with a towel to get rid of excess water and then air dry it. TRESemme Botanique Has honestly been the best thing that has ever happened to my hair thus far,my hair feels softer,smells great and its a lot easier to brush? I apply my conditioner straight after I've rinsed out the shampoo. I apply it from tip to route and gently massage it in my hair. I brush out my hair a bit and then leave it in for about 2-3 minutes. I then pat my hair with a towel to get rid of excess water and then air dry it. Definitely the star of the show in this range so far!! This conditioner leaves my hair more manageable and detangled and super soft for days! I love it because I can leave it in my hair and my hair doesn't go hard or looking bleak. It definitely made my hair soft and manageable, often it tangles quickly because of it needing moisture, I like that it does not need leave behind a white residue when it dries. for longer hair like mine you will need to use a large amount to completely cover your hair. This is good as a leave in treatment conditioner but I would suggest using it in conjunction with a setting product. First Impressions Using TRESemméBotanique Nourish & Replenish Conditioner. Thank You Beauty Bulletin for sending these to review. Same range products are made to compliment each other so they provide best results. The Conditioner is crafted system is infused with rich botanical blend of coconut milk and Aloe Vera. The system gently cleanses and nourishes hair, leaving hair feeling moisturized and beautifully soft. 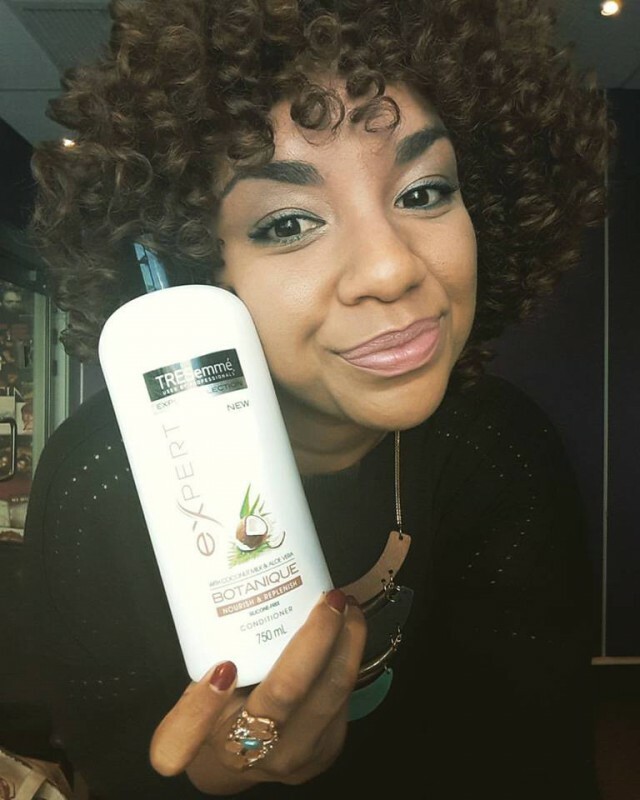 * For Frizz control hair for upto 24 hours. * Expertly crafted system is infused with rich botanical blend of coconut oil & Aloe Vera. * Gently nourishes hair, leaving hair feeling moisturised and beautifully soft. * No Parabens. No Dyes, Silicones and lower sulphates. * Safe for color treated hair. The conditioner smells exactly smells of vanilla caramel which is my favourite it's so distinctive. The texture of the conditioner is thick, creamy and slippery. After I shampoo my hair, I take 2 hands full times conditioner on my palms. Then I spread the conditioner on the lengths of my hair from my ear till the ends of my hair. After leaving the conditioner in my hair for approximately 5-7 minutes, I wash it off completely with normal temperature water. I also would like to advise you to wash off all conditioner from the hair properly and not leave any product in the hair. Otherwise this will result in product build up and hair will turn greasy quickly. I find the conditioner does an excellent job. Overall I feel this is a great conditioner for all hair types. Provides enough hydration for my normal to dry hair. And it's free from Silocone, parabens, dyes with lower sulphates.